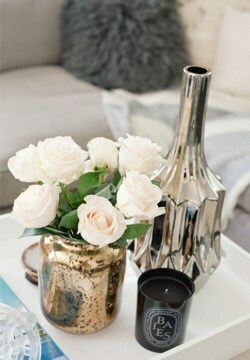 Who doesn’t like fresh flowers around their home? Bring your beautiful DIY arrangements home after the big party. Place your centerpieces around the house to not only give any room a little added touch, but it also allows you to continue to enjoy the flowers. Additionally, reimagine your florals by rearranging them. Place them in new vases for something fresh! Featured on Style Me Pretty and photographed by Christine Choi Photography. Continue to enjoy your wedding flowers with this unconventional idea. Remove the petals from your flowers while they are still alive. Select a white garment of clothing such as a silk robe. Lay the petals on the garment in any pattern that you’d like. Fold the garment up tightly making sure that the petals do not fall and secure with rubber bands. You can press the robe using heavy books or steam the garment allowing the dye from the petals to transfer onto the fabric. After a day or so of pressing the petals and removing the rubber bands, you will notice that the robe will be adorned with natural dye. What an awesome way to remember your special day! There is a reason that people give flowers to others when they are in the hospital or have lost a lost one. Flowers have been proven to help improve the mental state of people. They truly do make others happy! 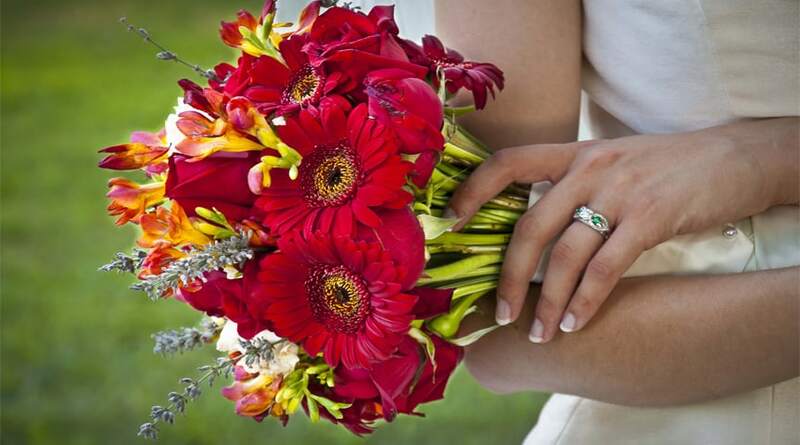 After you have finished celebrating your wedding, consider donating your flowers to a local hospital or charity. They will gladly accept donations and will make sure that deserving people receive them. 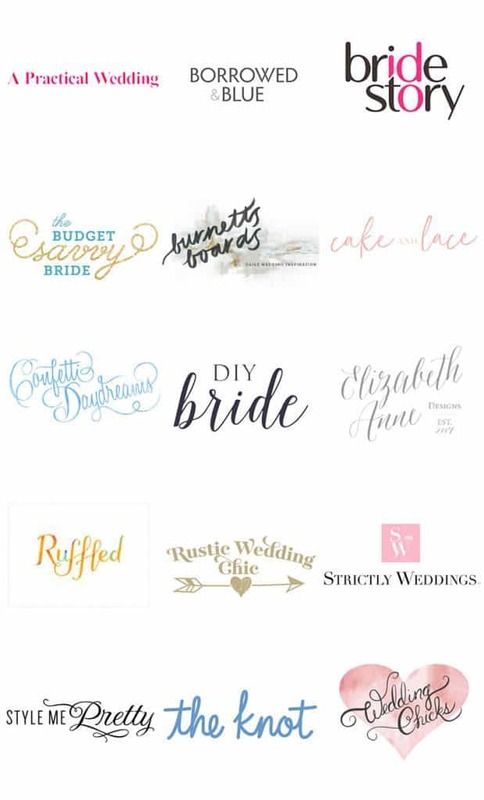 Featured on Apple Brides and photographed by Rogue Heart Media. Maybe you want to preserve your wedding flowers for a forever keepsake. Dry the flowers out and frame them in a shadow box to keep as a special memento of the occasion. For a rustic look display them in an unfinished wooden box. For more of a classic look, display your bouquet in an all-white box. To dry the flowers, hang them upside down in a cool and dry room. This will help to remove all the moisture locked inside the blooms, and you will be left with a gorgeous souvenir. Featured on Style Me Pretty and photographed by The Youngrens. 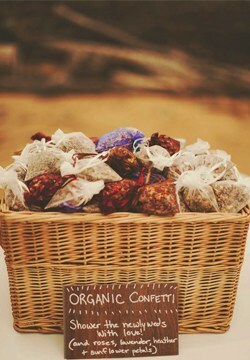 Potpourri is a great way to enhance any room because of its heavenly aromas. Simply dry out the petals and add your favorite essential oil or perfume. Place in a shear satchel and enjoy the scent! Give them as gifts as this couple did on their wedding day or keep them in your home! Featured on Bridal Musings and photographed by Nessa K Photography. 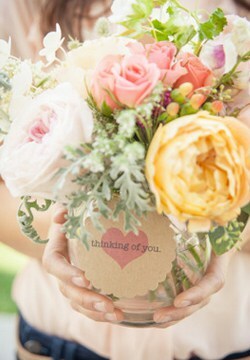 There are so many more possibilities when it comes to repurposing wedding flowers! 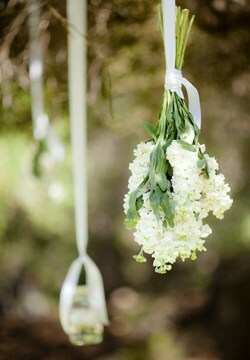 Find another example here that shows another way to reuse flowers for another event or gathering!